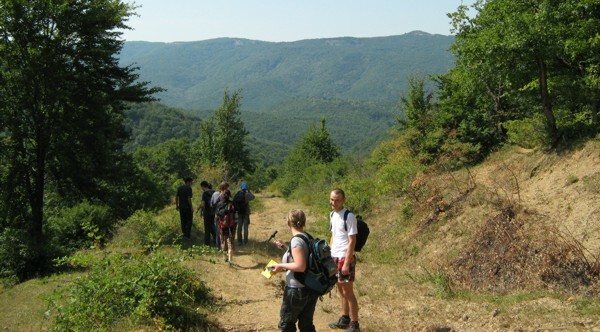 In July 2008, undergraduates in Geology, Faculty of Geology and Geophysics, took the field course in Geology based in Bigar, Caras-Severin County. 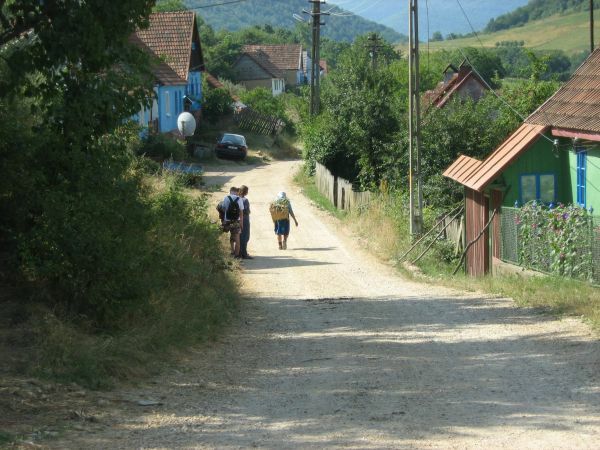 Accommodation was arranged at Ventel Mleziva's Pension, the best in Bigar, and all field activities were undertaken along the Sirinia Valley, Dragosella Valley, Berzasca Valley and Danube Valley. Papers, maps and samples were prepared also in the Dilcher-Popa field laboratory. Bigar is a fantastic place for field work in Geology, Paleobotany, Botany, Zoology and Ecology, it is a ideal area for studying and for learning as well. Many thanks to Georgiana Ionescu, then a freshman in Geology, for her photos. On the way for field work, early in the morning, along the Bigar main street. Descending towards the Sirinca Valley, with Copriva in the background. Afternoon chat in Bigar, next to the Dilcher-Popa field laboratory.. 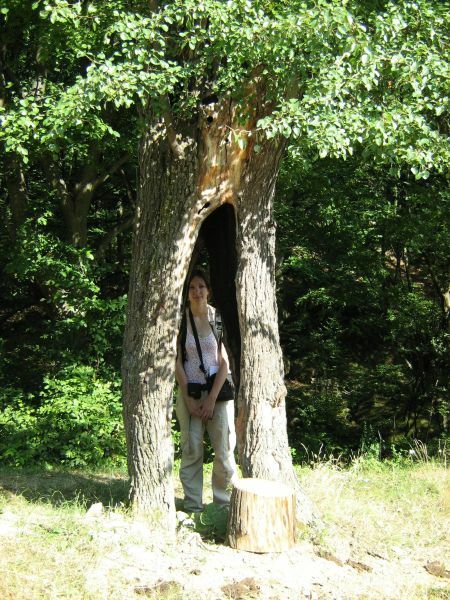 The tree-girl, on her way to Bigar. A short break next to Bigar, torturing a laptop in front of a beautiful landscape. On our way from Bigar to Orsova, in Dubova, for a cigarette break, after the field course.